What’s The BUZZ? Bug Guard Is The BUZZ! Save Up To 50% – Check It Out! 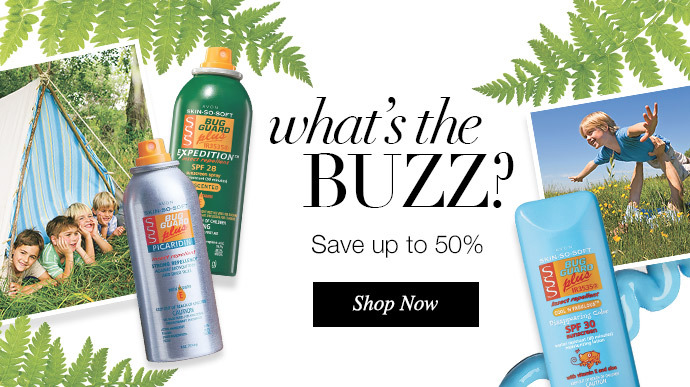 Avon’s Skin So Soft Bug Guard has been helping families stay bug bite free for over 17 years. These exclusive patented, time release formulas are suitable for the entire family and include ingredients that are effective alternatives to DEET. The portfolio of products target every family’s needs, whether it’s hiking at dusk or laying poolside during the day, ensuring long lasting protection. Shop BUG GUARD BY CLICKING HERE. Orders over $40 is Free Shipping No Code Required. Subscribe to my blog, leave comments, and Share, you can also chat with me as well.